OUR EXPERTS WILL WORK WITH YOU TO UNDERSTAND YOUR NEEDS AND MAKE RECOMMENDATIONS TO HELP WITH YOUR TEMPORARY MEASUREMENT NEEDS. For companies requiring temporary measurement solutions, we offer great products that are easy to use and convenient to transport. Each is thoroughly inspected and cleaned for accurate and satisfactory use. Located in Edmonton and servicing Western Canada, we can assist with transportation of products throughout Alberta and BC. If you’re uncertain which product would be ideal for your situation, let our friendly and knowledgeable team help find the right scale for you. 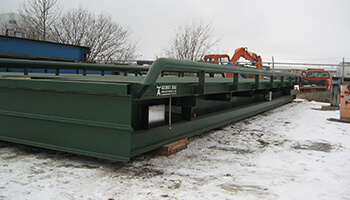 We have an assortment of solutions to help with agriculture, livestock, resource, transportation and retail industries. Our experts will work with you to understand your needs and make recommendations to help with your temporary measurement needs. We have great rental rates for long term use, with deals on weekly and monthly rentals. Check with our sales department to learn more about scale rental rates. Accurate scales offers rental products at daily, weekly and monthly terms. 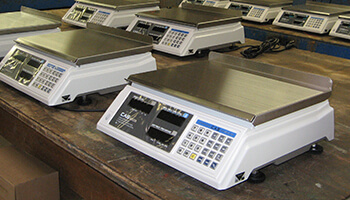 Our shop contains all the regulatory compliant balances and scales to ensure each product we rent is accurate. Every product that returns after use is inspected and checked for precision performance, making sure the scale you rent is ready for use.